Aluminimum alloy silver. 2in1 beer opener & wine bottle openerColor: SilverSize:12.5x3.3cmW.. Convenient and simple to use - just blow into the device for a reading.3 level LED light warnin.. 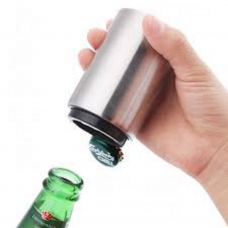 The Pop a Top bottle opener is so easy to use, just place over your beer or soda bottle and push dow.. Stainless steel, plastic, rubber. Store the Avanti Wine Chill Stick and Aerator in the freezer ready..
To use simply place sticks in freezer for at least 2 hours. When ready, carefully add a stick straig.. 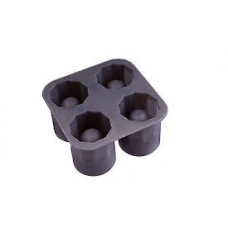 This mold gadget lets you make your own shot glasses out of ice providing you with a some new cool a..
For adding spirits into drinks and cocktails Half and Full Nip 15 / 30ml Capacity Stainless Steel.. Plastic tubes measures 6 feet long.Includes shut-off valve for lightweights!Waste no time getting th..